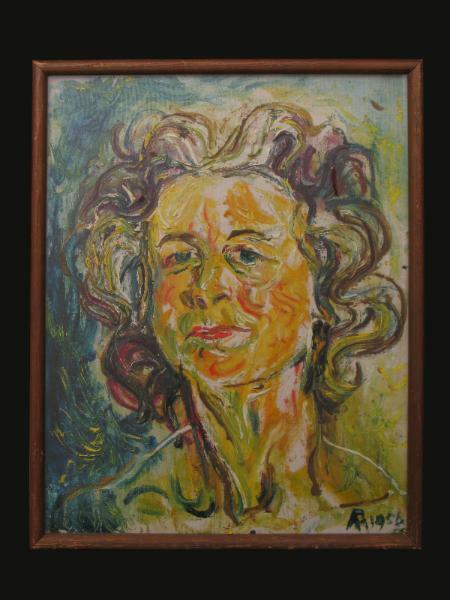 Affandi is Indonesia’s best known modern painter. His painting style is particularly well known and frequently involved work nit using brushes but his fingers or simply squirting the paint onto the canvas straight from the tube. He was born in Cirebon, West Java. He founded the Community Art organisation in 1946 and the People’s Artist organisation the following year. He travelled to India in the 1950s on a grant from the Indian government and continued on to England, France, Belgium, Holland and Italy, painting and exhibiting as he went. He received the Indonesian Government Gold Medal in 1978. A museum dedicated solely to his life and work has been established in Yogyakarta, central Java. 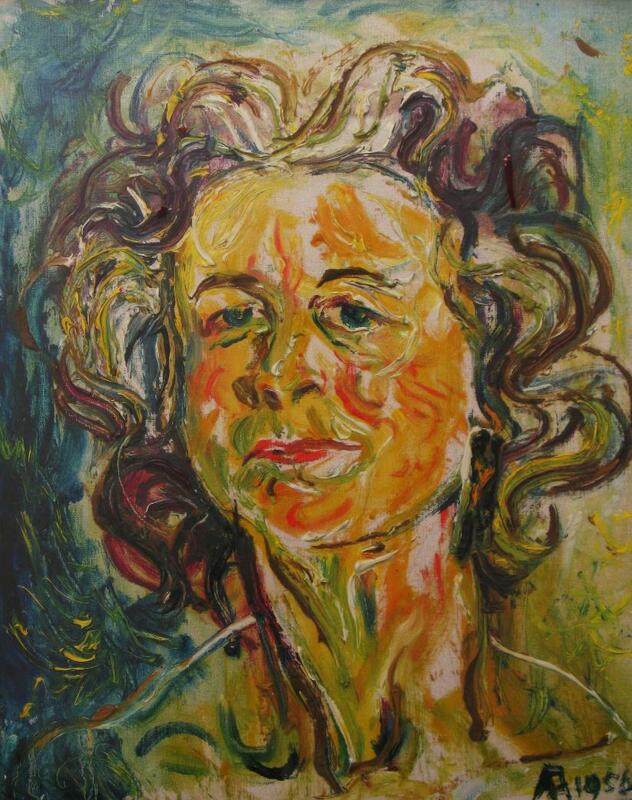 This energetic and colourful work, in bold, minimalist lines, is typically Affandi. It shows the head and shoulders of what appears to be a European woman. It is signed with the monogram that the artist employed for most of his works. from the collection of the late Ian Duncan Wallace QC. Ian Duncan Wallace QC was a prominent London-based construction law expert and Queens Counsel. He was also an art collector. A book of essays on construction law was published in his honour during his life time. He passed away in 2006.